The National Council of Educational Research and Training declared the results of the National Talent Search Examination Final Stage 2016 on 22nd July, Friday the examination for which was conducted on May 8th 2016. A total of 775 students were shortlisted for the prestigious scholarship in general category, 50 students under Scheduled Tribe and 150 students were selected in the schedule caste category. The NTSE 2016 was conducted in two stages, the results for which were announced separately. 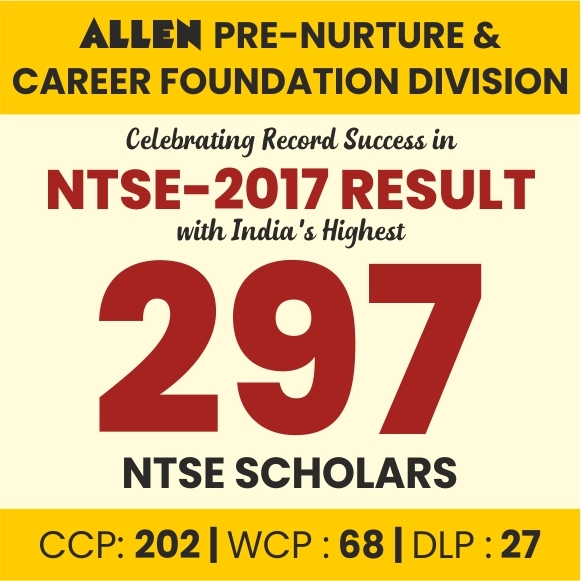 The Stage 1 was conducted by the State authorities and NTSE result was announced by the respective States. 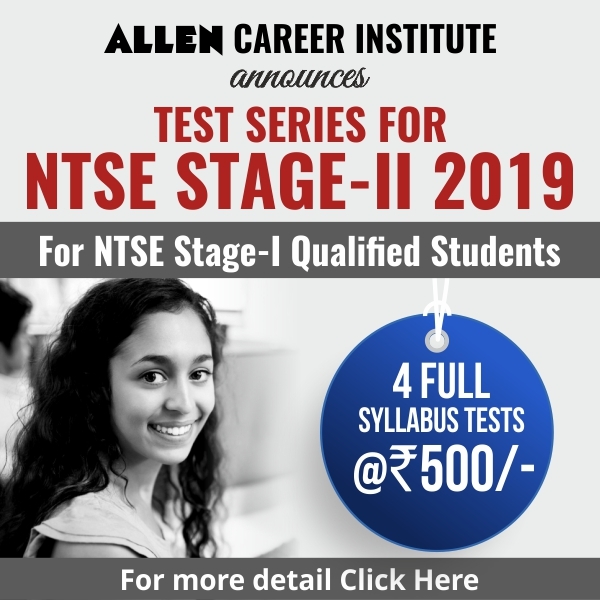 The candidates qualifying the Stage 1 were eligible for appearing in the Stage 2 exam. 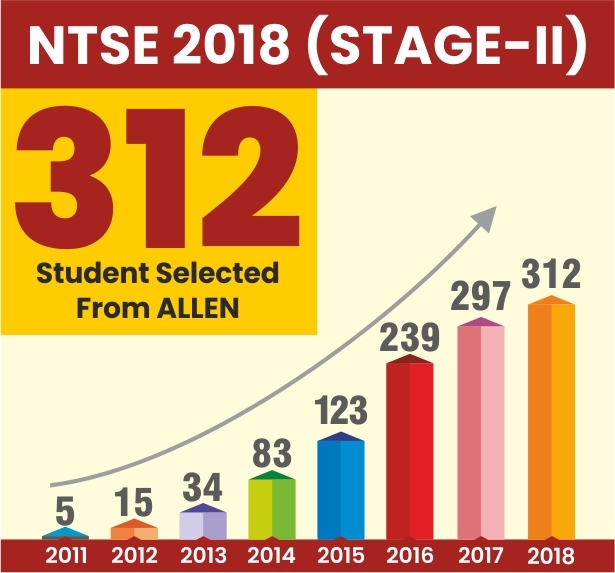 Each year around 4,000 students are selected from Stage-I to appear in the second stage of the examination. The Maximum marks for MAT & SAT were 145 for all categories against which the cut off marks declared in general category are 85.09, 56.43 for Schedule caste, 52.12 for Scheduled Tribe and 53.47 for the Physically Handicapped Category. The marks scored in Language Test English and Hindi were not included for calculating final merit as they were only qualifying papers. So the maximum marks for merit were 145, and the qualifying marks for general category were 58 (40%), whereas for Scheduled Caste, Scheduled Tribe and Physically Handicapped categories were 50.75 (35%). For Paper I Mental Ability Test (MAT) maximum marks were 49, against which the qualifying marks for general were 19.6 (40%) and that for Scheduled Caste, Scheduled Tribe and Physically Handicapped categories were 17.15 (35%). In Paper II Language Test (English) maximum marks were 50 whereas the qualifying marks for General category were 20(40%) and 17.5 (35%) for Scheduled Caste, Scheduled Tribe and Physically Handicapped categories. In Paper II Language Test (Hindi) maximum marks were 50, and the declared qualifying marks for General category are 20(40%) against 17.5 (35%) for Scheduled Caste, Scheduled Tribe and Physically Handicapped categories. Under Paper III Scholastic Aptitude Test (SAT) 96 were the maximum marks, whereas qualifying marks for General category were 38.4(40%) against 33.6 (35%) for Scheduled Caste, Scheduled Tribe and Physically Handicapped categories. 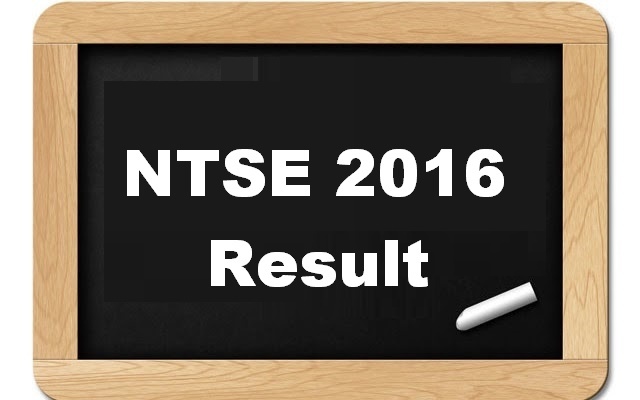 Candidates can download final NTSE 2016 Result & score from the links given below. The result has been declared category wise (General, SC and ST) for all candidates who have scored qualifying marks. Qualifying paper marks scored are not included for the final merit.